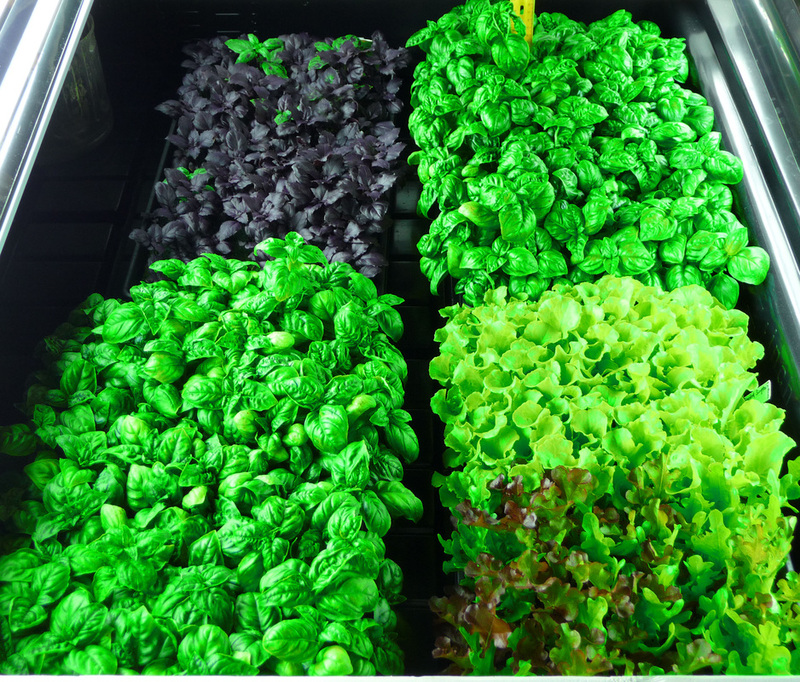 We are an urban farm located in Royal Oak, Michigan producing primarily green leafy vegetable and herb crops since 2008. Our focus is on the plant side of the aquaponics system and we run a lower fish loading then most commercial aquaponics systems. Our design is based on the University of Virgin Island system that has been fine tuned by Dr. Jim Rakocy for over 25 years. Due to the lower fish load we have been able to simplify the system and lower the daily energy operational costs while maintaining similar rates of vegetable production. As our system is in a Northern climate we do not use Tilapia as the providers of nutrients. Instead a poly-culture system of Rainbow Trout, Largemouth Bass, Minnows and Bluegill are used throughout the year. Although, the trout are stocked in the fall and grown out over a eight month period with harvest prior to the warmer summer months. A combination of tank and cage culture in the aquaponics troughs allows us to maintain the various species of fish in the system. Our primary outlet for our produce is a local farmer's market in Clawson, MI twice a month and our local retail outlet partner for daily sales (Water to Go) is located a mile away. We also do some contract growing of specific niche herbs for several local restaurants. Future plans include the installation of a vertical grow system to more efficiently utilize our greenhouse space. We are also looking at a Tilapia hatchery as a way to stock a smaller four raft system that could be maintained at a higher water temperature necessary for over-wintering Tilapia and to provide live food for our Largemouth Bass. A smaller two raft system using only worm castings in a vermiponics mode to provide plant nutrients was recently built and trials are underway to compare the two systems.